The roni cup is not your typical pepperoni pizza. When cooked, thick small coins of pepperoni curl into tiny bowls with a crunchy perimeter. The clincher though is a pool of grease in the middle. 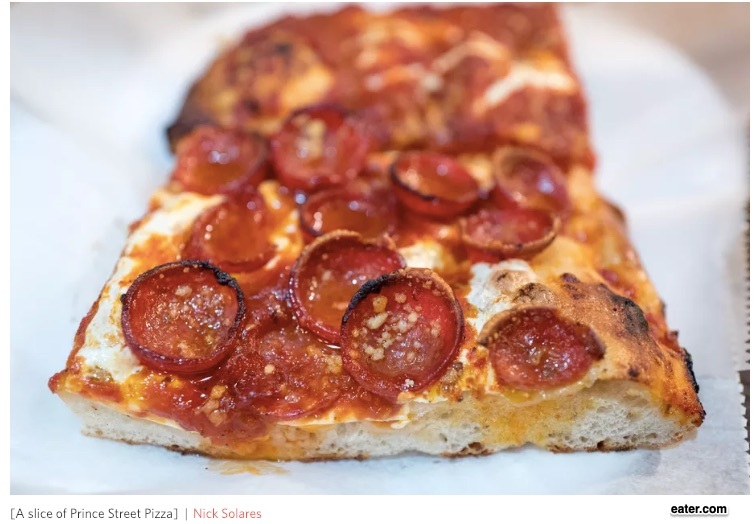 Prince Street Pizza has been called “patient zero” for its New York roni cup pizza. But it did not just copy the pizza that reputedly originated in the Midwest and Buffalo, N.Y. It created its own. The Prince Street owner says he’s the victim of a copycat recipe. To prevent his former employee from using this proprietary information, he said he plans to litigate. His attorney claims a confidentiality agreement was violated. For us though, the real question is how much the law protects your intellectual property. As always, we need to recognize the tradeoff. Guaranteeing ownership for a certain period of time, a patent or a trademark provide the incentive to innovate. However, if the protection is too broadly defined, then it stifles further invention based on the original. It also prevents the public from benefiting as much as it might. With pizza, the U.S. Patent and Trademark Office says a recipe is just a list of ingredients that is not protected. However, you can get around that through a “non-obvious” product or process. Pringles got a patent for its stackable chips. And a trademarked name like the Spicy Spring Pie does provide some protection. Perhaps a market system will always return us to debating our property rights. It will always involve a tension between what is private and what belongs to all of us…even for pepperoni pizza. My sources and more: Always fun for food facts, Eater alerted me to the pizza wars. Then, New Food Economy had the legal facts and other pizza wars. Finally, here, I uncovered a bit of pizza history.